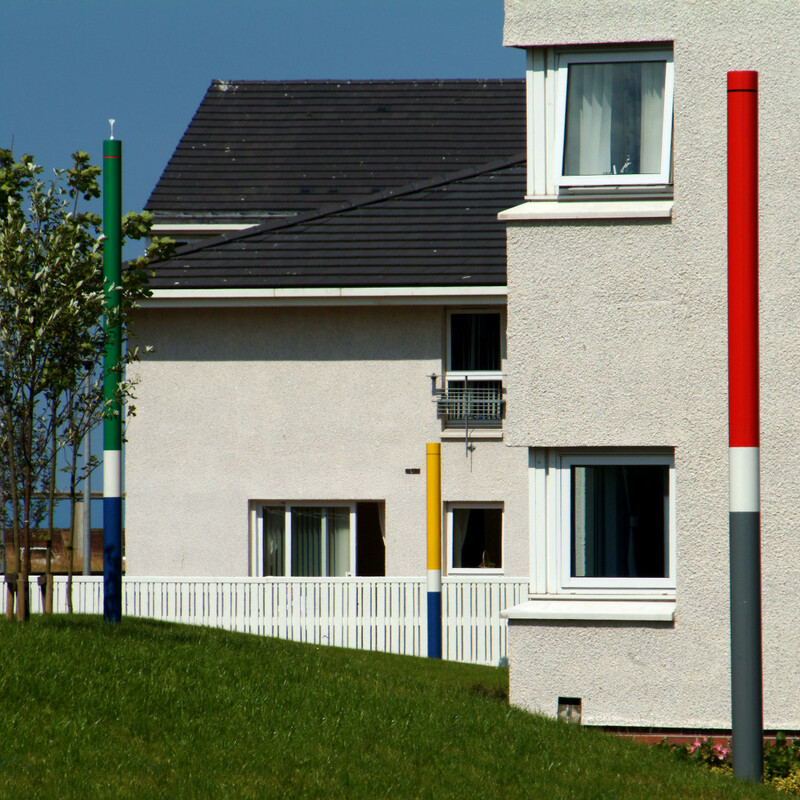 Ayrshire has built 78 flats and houses for rent as its contribution to the Citadel development area in Ayr. The scheme cost over £4 millions and was supported by a grant of £2.4 millions from Communities Scotland. The site was made available by South Ayrshire Council through its partnership with the association. The Citadel is a former industrial and port area which is being transformed into a new residential neighbourhood. When realised, the Masterplan will ensure a wide range of properties for owner-occupation and affordable rent as well as leisure and retail facilities. There is a particular desire to see public art installed to complement the area’s new functions. We responded to this challenge by commissioning artist Stephen Hurrel to work with the new tenants to develop a public art installation grounded in an emerging community. Click Here for more details. This project has been made possible by a substantial wider action grant from Communities Scotland and the sponsorship of the Bank of Scotland. Working closely with South Ayrshire Council, the provision of housing for the elderly and physically disabled has been central to the brief. 48 flats cater for these groups. The blocks fronting the harbour benefit from lift access and all the ground floor flats have wet floor shower rooms. In addition to the flats, there are 12 two-bedroom family houses. Each occupies a quarter of the three central “villas”. Considerable attention has been given to creating a sheltered and high quality environment within the development. This provides a contrast to the dramatic and changing views of a busy harbour and the Firth of Clyde which the tenants enjoy from the scheme’s public faces. The scheme was designed by the Ayr based Alastair Murdoch Partnership.